Partnerships, Joint Ventures & Strategic Alliances will help you dissect any proposed transaction, spot the issues that need to be addressed and achieve a successful outcome. Discussions include: building a successful partnership, joint venture or strategic alliance; choice of entity considerations; fiduciary duties; tax and regulatory issues; exit mechanisms; and the role of lawyers. Leading experts offer their best strategies for negotiating joint ventures and alliances. There are few, if any, major corporations that do not engage in some level of partnership, joint venture and strategic alliance activity. Partnerships, Joint Ventures & Strategic Alliances will help you dissect any proposed transaction, spot the issues that need to be addressed and achieve a successful outcome. Discussions include: building a successful partnership, joint venture or strategic alliance; choice of entity considerations; fiduciary duties; tax and regulatory issues; exit mechanisms; and the role of lawyers. 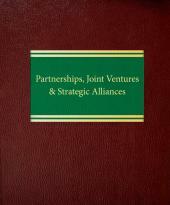 Leading experts offer their best strategies for negotiating joint ventures and alliances. 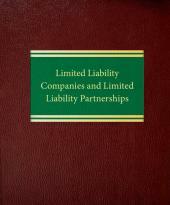 Written for anyone with hands-on involvement in negotiating and drafting joint ventures and strategic alliances, this complete reference provides extensive guidance on drafting limited partnership, limited liability company, and nonentity strategic alliance agreements. 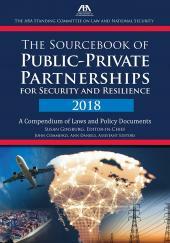 Detailed chapters examine special issues in: financial services and real estate joint ventures; minority strategic investments; integrating, retaining and providing benefits and incentives to joint venture employees; and intellectual property law considerations. Throughout, you will find timesaving checklists, clauses and forms (also provided on CD-ROM) that you can tailor to your own deals. Two volumes, forms on CD-ROM.